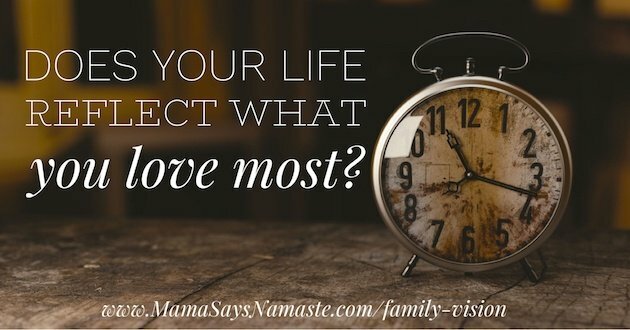 Is your family really your priority? What Happened To Family Connection? Vision statements, mission statements, strategy and branding. As a working mama, these are common things we talk about in the business world. Entrepreneurs are great at investing in those things that will get them further in their business, and "personal development" courses to increase sales and build lists are completely justified. It all boils back to family, though. Right? At least that's what we say. We do all this hard work for our families. To provide a better future. To support them and give them "security" at home. So how much time are you spending with your family? How much time are you focused on work, or the "to-do" list, or coordinating schedules and planning for the future? But have you actually sat down and created a vision and mission for your family? 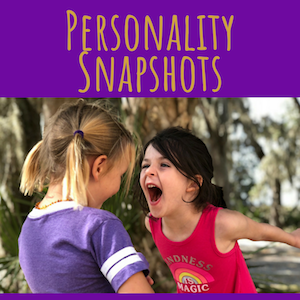 Have you looked at what resources would be powerful in your "personal development" as a parent, partner, or just in your own self-help? 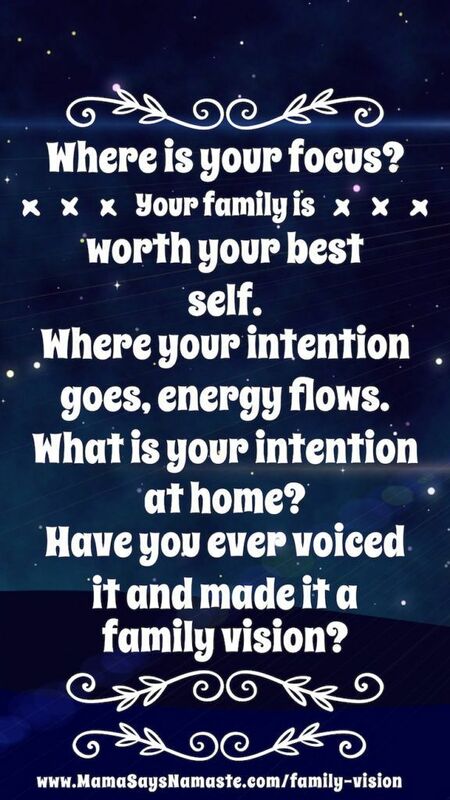 How are you building family connection? 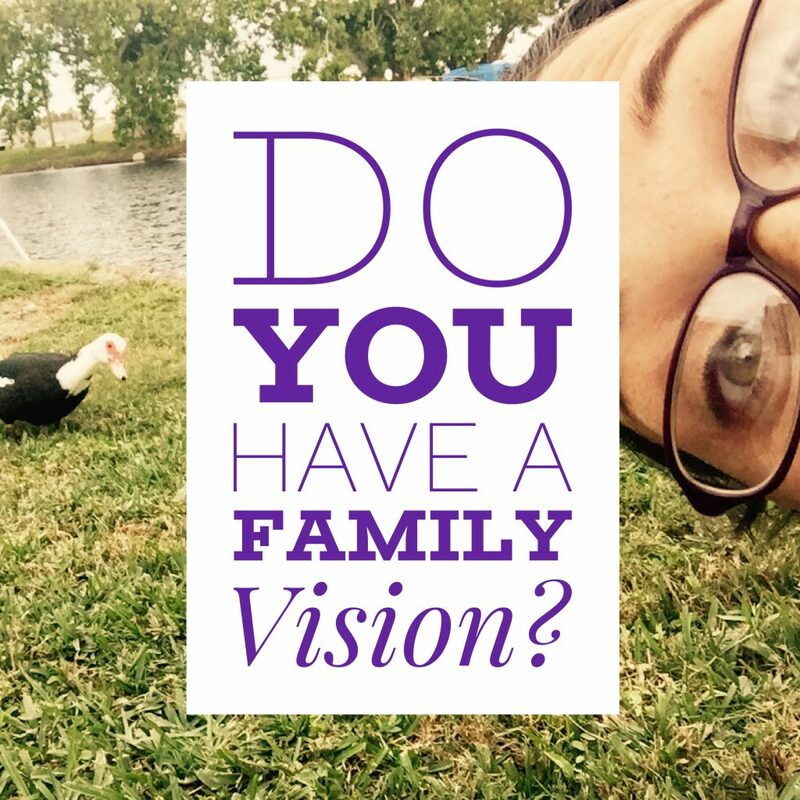 You have a business vision - what about your FAMILY vision? 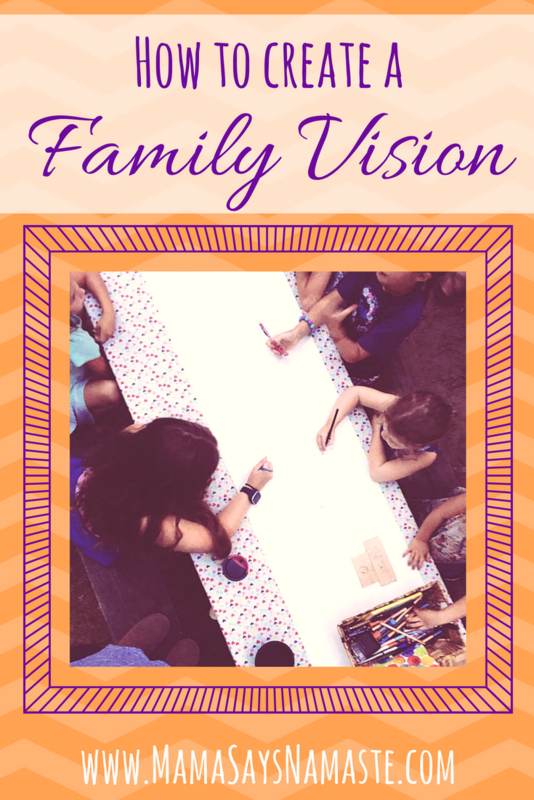 Do you have a family vision? We focus so much on business yet oftentimes never recognize the need for intention and planning with family. We coast through parenting reacting to the chaos of the moment, and never writing the story of what we really want our lives to look like. Is your work the place you focus? Or can you shift to that same drive and intention to create the family where everyone thrives? 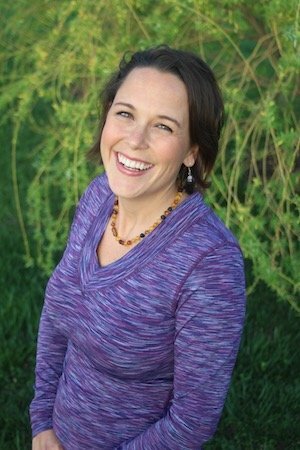 My friend has a wonderful course on creating a family vision. This was a powerful catalyst for my family to go through and create our own family plan. What I love is that this pushed us to really sit down as a family and talk about what we envision for our home. Don't just walk into your family blind and reacting. This is your opportunity to be intentional - to start with identifying and laying out what you want your family to be like. If you cannot envision it, if you cannot speak it, how likely is it to become a reality? First, to get you started, it's easy to cross out what you don't want. We sat down and talked about what things are family is not. Hate, backbiting, disrespect, whining, negativity…these all made it in our “not welcome” list. Sometimes, instead of starting from scratch to create something, look for what already resonates with your children. What little sayings do you have around your house – hung on a wall, or even just things you say? If you don't know where to start, it's as simple as going to a TJ Maxx or other home store and looking at the pillows and wall art - the "family rules" that people buy to lay around the house. Dream big, be patient, make memories together, forgive, laugh often, be kind... what resonates with your family? What speaks to your heart as something you crave to have in your home? Keeping your family connected matters because it’s what grounds us. The relationship between a parent and child is just like any other — it requires attention, purpose and is hard work to maintain to avoid becoming passing ships. When you create a family, when you bring a life — or in my case, multiple lives — into the world, you have a responsibility to ensure that they are not just in the world, but that they understand how they belong to the world. And that connection starts at home. It starts in your family. It starts with you. We talked about what words inspire us and make us think of our family. We rolled out the butcher paper and drew pictures with the words and the things we love, like nature, travel, creativity, the people in our family, etc. Make it fun. 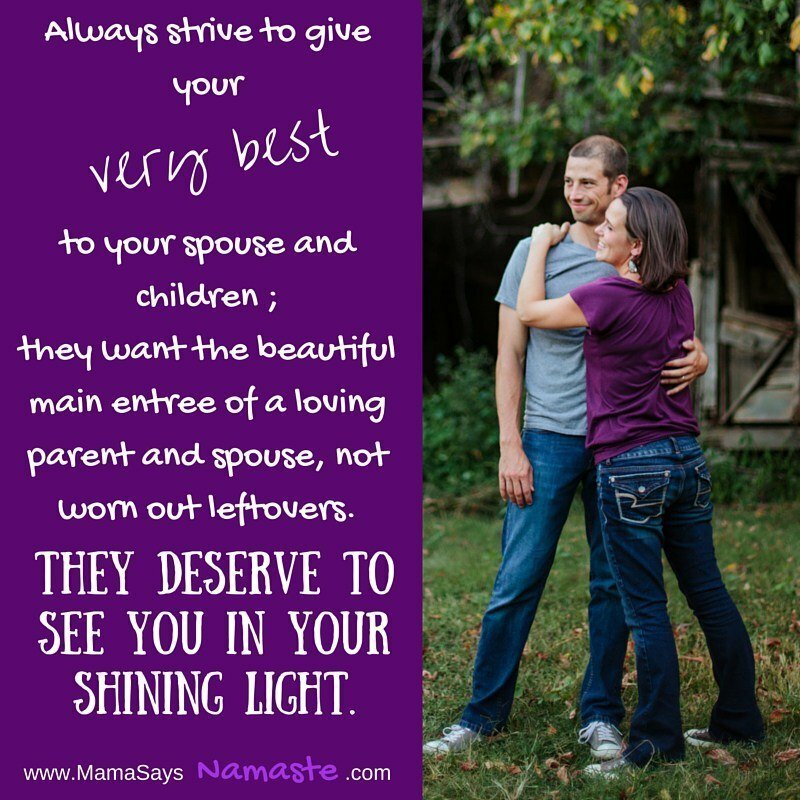 Talk with your partner about what is important to you in your family. Roll out the butcher paper and make a family picture of all that is important to you - no guidelines on what to do; simply ask your family to draw what they dream of for your family. See what develops, and what common themes you may find. You're creating a powerful time of family togetherness. Drawing, creating, and dreaming about the importance of family in your life. Then start to narrow it down. Think of words that come to mind and do a family word dump. Then grab out the ones that stand out most that everyone agrees on, and see what you come up with. Ours was simple. With small children, we wanted to keep it short and sweet - easy to remember for everyone. 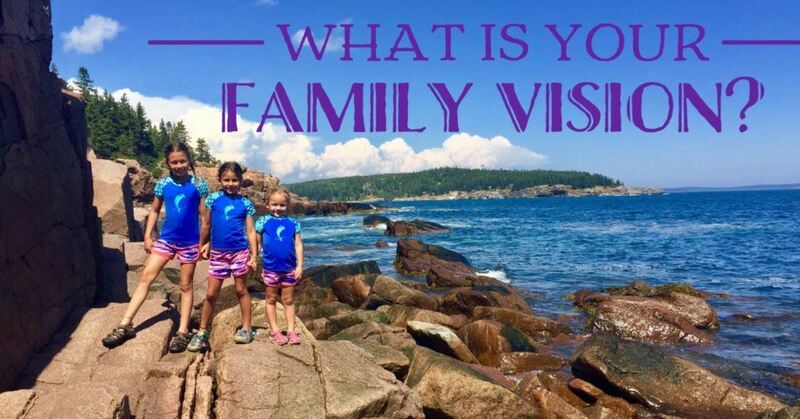 I hate to break it to you - but simply laying out your family vision is not going to magically create an in-sync family where everyone stays connected and aware. True family connection is more than that. Saved the champagne, the fancy dress and the fine china for the special event. Had a fun activity in mind that you've never found the time for. Held on to a fancy candle, niche gadget or those bath salts for the time you "really" will use it and "need" it. The food spoiled because I didn't get my act together to make that fancy dish. I'm tired of moving around all the fancy gadgets, bath salts, candles, etc that just collect dust and take up space - they need to be used or thrown out. I worked so hard through the years so I could provide for my family...so we could go on the fancy trips. And now...my children are gone and I didn't build the relationships when they were home. Now that I'm ready to spend time with them, they have moved on. Or this - we save our fancy things, our best behavior, or anything extravagant...for what? For whom? Have you ever dressed up in your finest...just for a family dinner at home with the ones you love? Brought out the fine china and champagne, the cloth napkins and name cards...just for your immediate family? Have you indulged in a fancy candlelit bath, complete with a chocolate treat and a good book, just on a regular Monday? Or, have you done this with your partner included...not on your honeymoon or romantic getaway, but a plain everyday night after kids have gone to bed? Every day is an opportunity for “special”. We can express gratitude, appreciation, respect and love on a daily basis. We can break away from the norm and go on an adventure (in our own back yard), eat at the fancy restaurant (that looks a lot like our own kitchen), and dress up like princesses every day. We can bring the “one days” in more and more, and allow for each day to be whatever we make it. One of the biggies is respect – I love and respect my family enough to make an effort. My family is worthy of my best self in every way - when I rise up and shine, it is my family I want surrounding me. I love them enough to get up, get dressed, and work to make today a great one. Yes, I get a “buy” some days. I take a break, wear my sweatpants, and chill out. And yet I still have the opportunity to make it special by even allowing those days when I’m fried to transform from ugh to ahh by adding in some spa time – painting our nails, taking a mommy time-out in the bathtub, or whatever I need to rejuvenate. Add this in to your family vision. Be intentional about creating those goals - and how you are going to implement them in your family. How are you not only writing the vision, but instilling into your family the worth of each person, and how much they mean to you? Show love and respect for your family. Don't push for them to be perfection. None of us are. We're human, and we need each other. 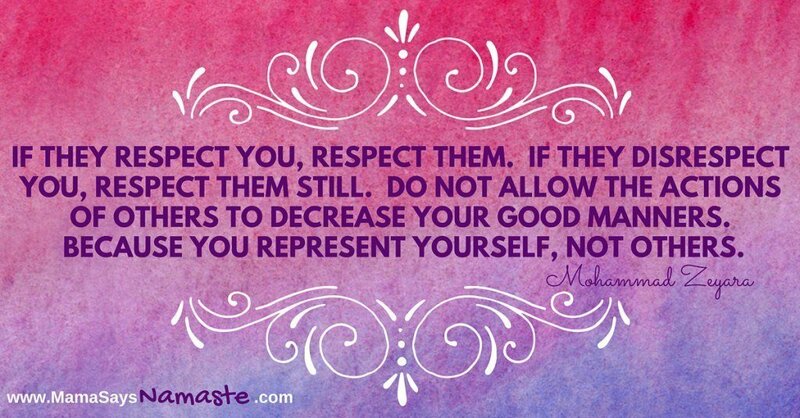 And the more we model love and respect - and self-worth - the more we instill these traits in our children...and create family connection.